Lenovo today announced an ecosystem of devices and services that support the new era of mobility and represent how today's users are demanding solutions that bridge connectivity, hardware and user-centric design. Lenovo today announced an ecosystem of devices and services that support the new era of mobility and represent how today's users are demanding solutions that bridge connectivity, hardware and user-centric design. Lenovo is introducing a new device portfolio at Mobile World Congress 2017 that spans nearly all mobile form factors for the ultimate in choice with: the detachable Miix 320, blending affordability with connectivity on-the-go - two convertibles, mobile powerhouses Yoga 720 and 520 - four tablets, the versatile Tab 4 family built for everyone in the family - and Moto G 5 and Moto G 5 Plus, smartphones that pair premium features with affordable prices. All these devices share the ability to give users true mobility, such as the powerful option of LTE* for near-ubiquitous connectivity. At the same time, Lenovo is announcing an enhancement to Lenovo Connect with support for reprogrammable e-SIMs, which on select Windows LTE enabled devices, will allow customers to take advantage of their local Telco contract for data when at home and the best local wireless pricing when they are roaming, without having to swap out their SIM. Moto G 5 and Moto G 5 Plus: Captivating Design, Unlimited Performance. The Moto G heritage is one of premium features without a premium price tag, and the all-new Moto G 5 and Moto G 5 Plus remain true to this legacy, delivering what people want most without a premium price tag. The newest members of the Moto G family bring together an unexpected combination of beauty and power. Both devices feature precision crafted metal design - a first for Moto G - and powerful octa-core processors that enable exceptional performance. Long lasting, all-day batteries mean less plugging in and more getting done, fingerprint readers keep user information safe and secure and advanced camera capabilities allow for the capture of stunning photos with faster focus. Unexpected is now extraordinary. Lenovo Connect e-SIM enhancement makes it easy to connect anywhere in the world - no more swapping out SIM cards. Lenovo Connect gives users a seamless connection and local wireless pricing even when they are abroad by taking advantage of local Telco contract for data. Users can even share the same plan across devices when those devices are enabled with Lenovo Connect . Moto G 5 and Moto G 5 Plus will be available beginning in March in various countries across Latin America, Europe, Asia Pacific and North America. Find Moto G 5 starting at €199 with 2GB RAM/16GB storage. Moto G5 Plus starts at $229 USD with 2GB RAM/32GB storage and €279 for 3GB RAM/32GB storage. The Tab 4 8 and Tab 4 10 start at €169 and €179, respectively. The Tab 4 8 Plus retails at €259 and the Tab 4 10 Plus at €299. They're available at Lenovo retail partners and www.lenovo.com. Tab 4 Series tablets will be available in EMEA beginning late May. Lenovo (HKSE: 992) (ADR: LNVGY) is a $45 billion global Fortune 500 company and a leader in providing innovative consumer, commercial, and enterprise technology. Our portfolio of high-quality, secure products and services covers PCs (including the legendary Think and multimode Yoga brands), workstations, servers, storage, smart TVs and a family of mobile products like smartphones (including the Moto brand), tablets and apps. Join us on LinkedIn , follow us on Facebook or Twitter ( @Lenovo) or visit us at http://www.lenovo.com/sg/en. 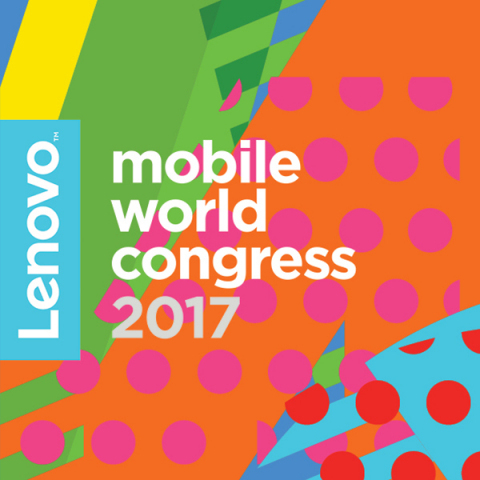 Full 2017 MWC press kit at http://lnv.gy/2mhh0SF. *Lenovo Yoga 520 is marketed as Lenovo Flex 5 in North America. The 15-inch Flex 5 model is available only in North America. LTE not available on Yoga 720 or 520. Lenovo Miix 320 with LTE is not available in North American markets. Prices do not include tax or shipping or options and are subject to change without notice; additional terms and conditions apply. Reseller prices may vary. On-shelf dates and colors may vary by geography and products may only be available in selected markets. All offers subject to availability. Lenovo reserves the right to alter product offerings, features and specifications at any time without notice. 1 Lenovo Miix 320 (with Wi-Fi only) weighs 1.02kg with keyboard and 550g without keyboard. Lenovo Miix 320 (with LTE) weighs 1.03kg with keyboard and 560g without keyboard. 2 The 13-inch Yoga 720 has up to 8 hours of battery life in FHD and up to 7 hours of battery life in UHD. The 15-inch Yoga 720 has up to 9 hours of battery life in FHD and up to 8 hours of battery life in UHD. The 14-inch Yoga 520 has up to 10 hours of battery life in FHD. All battery life claims are approximate and based on test results using the MobileMark® 2014 ver 1.5 battery life benchmark test. Actual results will vary, and depend on numerous factors including product configuration and usage, software, operating conditions, wireless functionality, power management settings, screen brightness and other factors. The maximum capacity of the battery will naturally decrease with time and usage. See https://bapco.com/products/mobilemark-2014/ for additional details. 3 Based on Lenovo's internal analysis as of February 14, 2017 of 15-inch 2-in-1 convertible laptops using Windows sold by major competitors shipping > 1 million units worldwide annually. 4 The 13-inch Lenovo Yoga 720 is 14.3mm and 17 percent thinner than its previous generation, the 14-inch Yoga 710 that's 17.3mm thin. Prices do not include tax or shipping or options and are subject to change without notice; additional terms and conditions apply. Reseller prices may vary. On-shelf dates may vary by geography and products may only be available in selected markets. All offers subject to availability. Lenovo reserves the right to alter product offerings, features and specifications at any time without notice. LENOVO and YOGA are trademarks of Lenovo. DOLBY ATMOS is a trademark of Dolby Laboratories. GAME OF THRONES is a trademark of Home Box Office, Inc. INTEL, INTEL CORE and THUNDERBOLT are trademarks of Intel Corporation in the U.S. and/or other countries. NVIDIA and GEFORCE are trademarks of NVIDIA Corporation. MOBILEMARK is a trademark of Mobile Mark, Inc. All other trademarks are the property of their respective owners. ©2017, Lenovo Group Limited.